The Genetic Analysis project has worked on Cre8 resistance against cereal cyst nematode, Rlnn1 resistance against Pratylenchus neglectus , resistance and tolerance against Pratylenchus thornei and resistance against Stagonospora nodorum blotch and yellow leaf spot (tan spot) and crown rot. What about rusts? Genetic analysis and marker development for rust resistance is carried out by the Australian Cereal Rust Control Program. As part of that program, Urmil Bansal of the University of Sydney has developed a marker manual: Markers Linked to Rust Resistance Genes: Protocols & Validation. 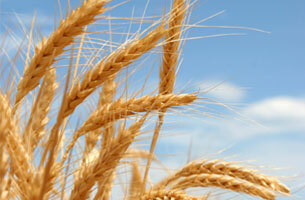 The Genetic Analysis project has collaborated in research on several grain biochemistry traits and has supported the evaluation of high-protein (Gpc-B1) lines. Contact us if you'd like our help with genetic analysis, marker development or delivery of outputs to end users.